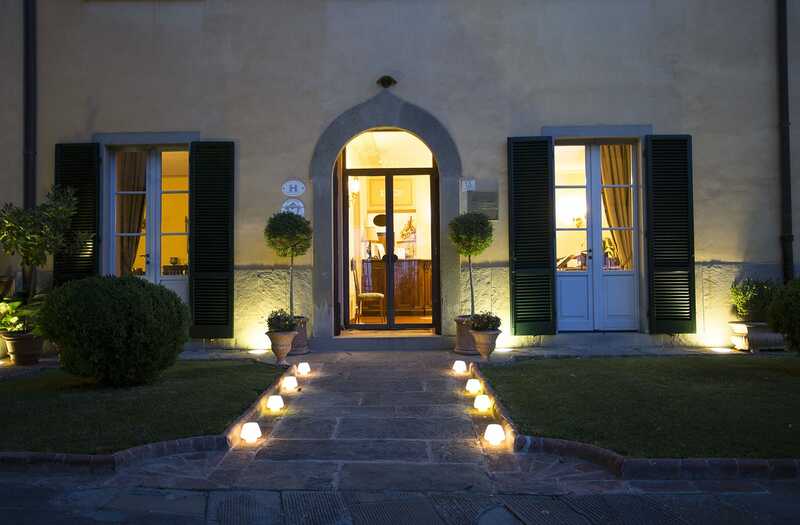 Villa Marsili is located just outside the pedestrian area of Cortona. Reach our hotel is easy and you can drive with your car directly in front of it. Cortona is the perfect starting point to explore the famous medieval towns and art cities in Tuscany and Umbria like Florence, Arezzo, Siena, Montepulciano, Perugia and Assisi. GPS Coordinates: Lat. 43.273323, Long 11.985239. Autostrada A1 Firenze/Roma, Exit Valdichiana; continue on Siena/Perugia State Road (on way to Perugia); exit Cortona. At this point take the SS 71 northward in the direction of CORTONA. 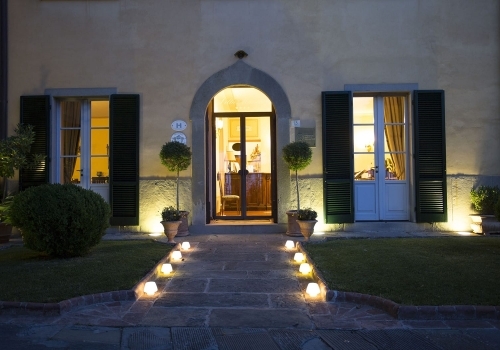 When approaching the town follow the white road signs for HOTEL VILLA MARSILI. 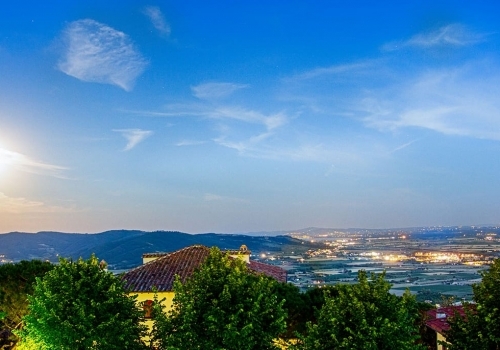 Cortona is positioned on a hill so you will be going uphill for approximately 15 minutes. 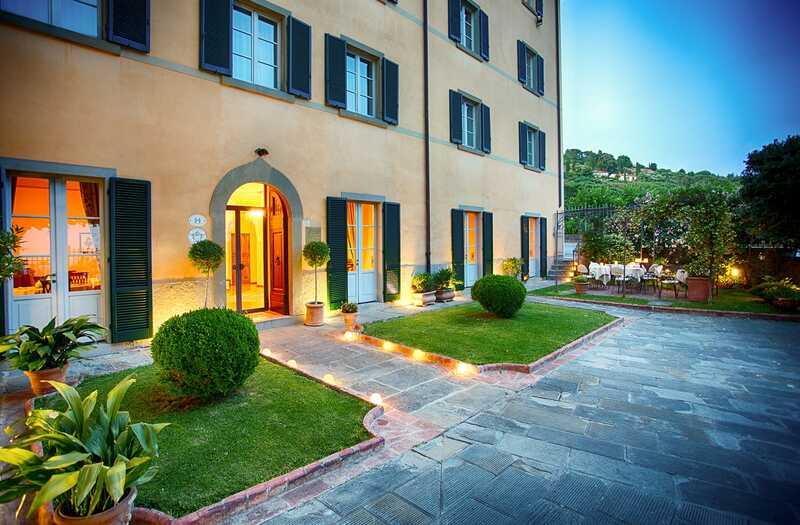 Important – once you see the sign at the entrance of CORTONA you have to take a sharp right turn and approx a 3 minutes drive later you will see the Villa Marsili on your left. Railway line Florence/Rome, Railway “Camucia-Cortona”, or Railway “Terontola-Cortona”. Closest train station is “Camucia-Cortona”, with direct trains from Florence (1 hours and 15 minutes ) and Rome (approximately 2 hours) or “Terontola-Cortona”, You can also take a train to Arezzo and then another train to “Camucia-Cortona”. There are only few taxis serving the town and if you want to be sure that there is a taxi waiting for you , contact the hotel to book one. A taxi takes approximately 5 minutes. Bus service: there are buses that run on regular basis from both the railway stations. 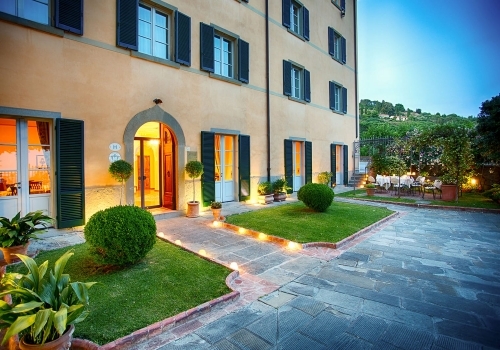 The airports near to Cortona are Florence, Pisa, Perugia and Rome.